Plan, track and report all with one single application. Request a free demo today! Streamline Your Trucking Operations Today! Don't let your business get slowed down with paper. If you're a driver who already uses tablet or smartphone apps for truckers, you probably know how a trucking software application can make a huge difference in your overall performance. MyRig takes it to the next level. CSI has always been sensitive to our changing needs. They have always been able to come up with a solution to any issues we have. Service and Support from CSI is excellent, keeping our system up to date as well as quickly addressing any issues (few and far between) that may pop up! Overall experience has been great. Anytime we have a question or concern, CSI has been quick to respond and help us in any way that they can. From the initial contact to continued customer support, CSI has been there for us. We are a specialized carrier and CSI fits our needs. I would recommend CSI for anyone in the trucking industry looking for new software. CSIRoad is a valuable asset to our organization. When I call CSI, the support team makes me feel like I am their very best customer, which makes working with CSI a pleasure! CSIRoad has helped us adapt to the needs of our clients and improved our interactions with major auto manufacturers. The CSI’s staff response time is in minutes/hours. Great people to work with. 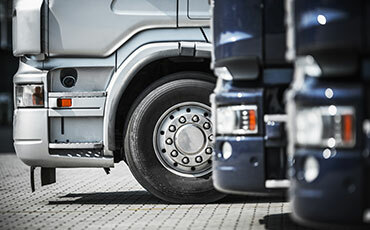 The CSIRoad team is responsive to our needs and a valuable partner for our business. CSIRoad software and Support Team has assisted us in accomplishing our goals. We are glad to have CSIRoad and staff as our partner. It is great to get assistance from individuals who know what they are talking about. Great team and software product.